The latest death of a young 17 year old UK teenager on Thailand’s roads whose ‘life was ahead of him’ means it is time for foreigners to Thailand to sit up and smell the coffee when it comes to the dangers on Thailand’s roads, the most dangerous in the world. Although Thai police are investigating, this looks like it was a tragic accident as the young man lost control of his motorbike. Over 50 people die everyday riding motorbikes on Thailand’s dangerous roads but over confidence by visiting foreigners is also factor. As the UK foreign office deals with this latest tragedy, they are also assisting a 64 year old UK women, Barbara Jackson, who is facing a ฿450,000 (£11,000) bill at a Bangkok hospital to pay for care costs associated with urgent heart surgery. Both UK families are seeking the public’s help through crowd funding. So far there has been a very positive and heart warming response. The danger of motorbikes in Thailand, road traffic conditions and tourist safety was highlighted again this week when young 17 year old UK teenager, Anthony Ryan, lost his life while racing a motorbike in the Kamala area of Phuket with his boss and holiday companion. Footage of the tragic accident has emerged as police conducted an investigation into the crash. As the UK Foreign Office confirmed the death and liaised with the family in Bradford, they were also attending to an elderly 64 year old UK women from Essex who needs to find funding for care costs associated with urgent heart surgery which doctors in Bangkok believe she must undergo. 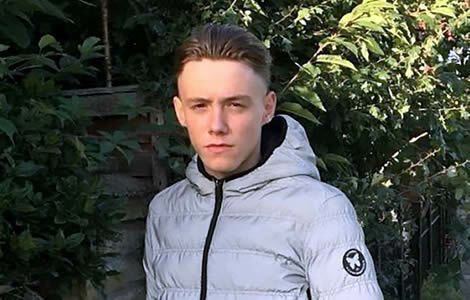 Dash cam footage of the accident in the Kamala area on the west side of Phuket has appeared online which appears to show the tragic accident that resulted in the death of 17 year old UK teenage Anthony Ryan in Thailand this week. The revealing footage was taken from a dash cam in the mini van carrying tourists which ultimately collided with the motorbike that the young man was riding on a busy Thai road as evening had fallen. Anthony Ryan had been on his first foreign holiday when the 17 year old was killed this week in Thailand. Dash cam footage has emerged showing the young man’s last minutes as he raced with his holiday companion and boss along a rain soaked road in the Kamala area of Phuket. Thai police are investigating the incident from dash cam footage retained from a minivan involved in the collision. The teenager’s family are seeking funds to repatriate his body to Yorkshire in the United Kingdom. 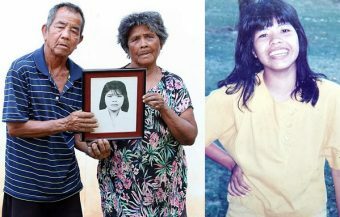 Anthony’s tragic death is one of over 50 everyday on Thailand’s roads involving motorbikes alone. 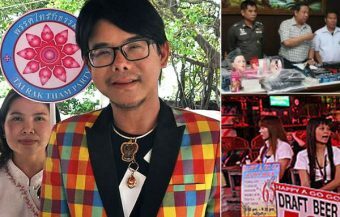 His death is timely reminder to foreigners, visiting the country, to exercise caution when navigating Thailand’s busy roads, the most dangerous in the world. It is a particular warning regarding over confidence particularly when riding motorbikes. The video shows two motorbikes, believed to be Honda Zoomer models, traveling at speed along the road in wet driving conditions. In Thailand, because of the heat and heavy, dramatic downpours these conditions can be very dangerous. Added to this, the fact that the two lane winding road was very busy and it explains the danger of the situation. The young 17 year old appears to have been racing with his companion on the roadway. The video shows his motorbike being overtaken suddenly by the other bike and the young man appears to lose control of his motorbike which falls horizontally just as the minivan traveling behind hits it head on. The young mans motorbike was destroyed in the collision and he died on the spot being pronounced dead when he was taken to hospital. The fatal accident comes just over a week after 51 year Danish expat, Claus Jensen, was killed in an urban area in Phuket in the early hours of the morning when a lorry stopped to execute turn on a quiet road. The Dane failed to stop. 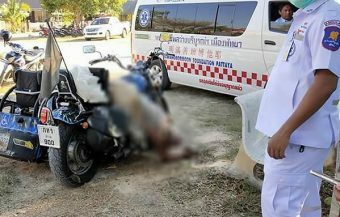 The 51 year old died shortly afterwards before being admitted to hospital and left a Thai wife and son behind. The extent of injuries and deaths from motorcycles in Thailand is such that any foreigner thinking of renting a motorbike should either think twice or take conscious steps to ensure that they drive safely. Phuket is a notorious black spot for motorcycle accidents. Thailand has the world’s most dangerous roads with 74% of fatalities coming from motorbikes alone. Over 50 people die everyday on Thailand’s roads from riding a motorbike everyday with even larger numbers of life changing injuries. 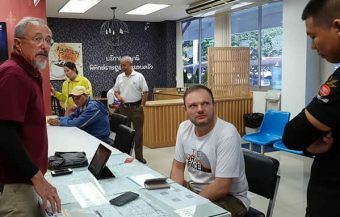 There are no figures readily available to show how many of these are foreigners but it should be noted that driving conditions on Thailand’s roads are far more dangerous than in western countries and far more dangerous again for foreigners, unaware of Thai culture and driving habits on the busy road network. It is not poor infrastructure that it is the problem because Thailand has, in fact, very good roads and extensive motor ways. 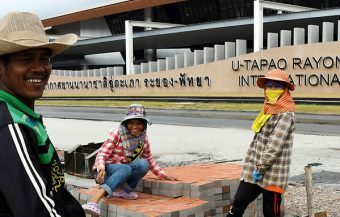 Indeed the impressive quality of Thai roads may be a factor in fooling western foreigners into a false sense of security. The problem is the speed and multitude of Thai drivers, different types of vehicles, less regulation and unpredictable or erratic behaviour that is often the cause of accidents. For western motorbike riders, this spells bad news. In this instance and in the death of the Danish man Claus Jensen the fault, if any, does not rest at all with any third party. The young British man simply lost control while the Dane failed to anticipate the sudden stop of the lorry in front of him. Young Anthony Ryan died from the injuries he received during the collision with the minivan. 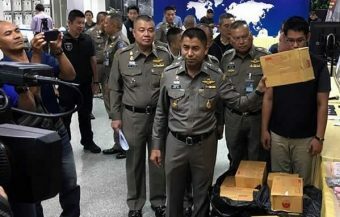 The young man and his boss in the United Kingdom were reported to have been racing their motorbikes near the Nakalay Resort in the Kamala area of Phuket. Thai police have confirmed that road conditions were dangerous for driving after rainfall had made them wet. His family have been fundraising money to return the body of the young man back to Thailand. The fundraising target is £5,000 (฿205,000) and already there is over £4,000 pledged. 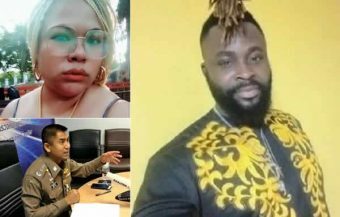 Local Thai Police Chief, Colonel Somkit Boonrat, confirmed that police were holding the body of the young UK man. He said one motorbike had tried to overtake the other and one of the motorbikes had ended up in the minivans road space just before the collision. ‘We immediately informed the British Embassy about the accident,’ he confirmed. The body of the young British man is being held at the local Patong Hospital. 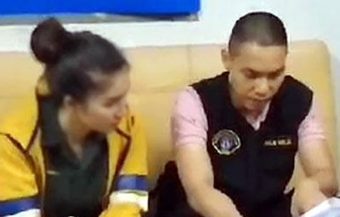 Thai police named the minivan driver as Sanakorn Boonjiraphon. It is believed the dash cam footage of the tragic accident, which has been published online, came from his vehicle. The minivan driver can be seen reacting in shock in the aftermath of the crash. 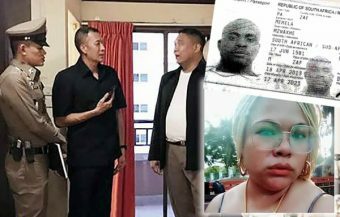 Thai police are conducting a full investigation into the incident using the dash cam footage. The young man who died was the eldest of five sons. Originally from Bradford City in West Yorkshire, the young man is reported to have moved to Cornwall, in the UK’s Southwest, in recent times to work in the construction industry. It was the young man’s first holiday abroad. Family in the UK told the media that the young man had hit a vehicle as he attempted to overtake his travel companion. It is reported that his companion was his employer from Cornwall. Young Anthony died at the scene of the smash. In the UK, his heartbroken mother, 40 year old Claire Wright praised her son: ‘He was on his first holiday with his boss from work. 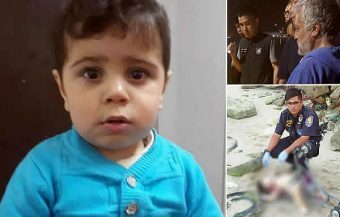 He was an amazing boy,’ she told the UK media. ‘He had a good job and was going back to college.’ The grieving mum said that her son had dreams of owning his own business and had made plans to return to college as a business student. The shock at the death of the young teenager and crowdfunding effort brought out many messages of sympathy and praise for the Yorkshire lad. 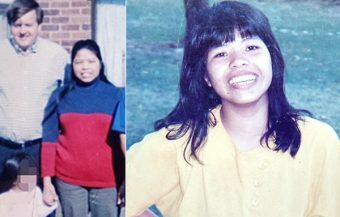 Anthony was described as coming from a very close family with five brothers. Friends implored the public to support the fundraising effort to send his body home. ‘Let’s all give him the send off he deserves,’ said one memorable post. ‘RIP big man, Heaven got another good lad,’ wrote another poster, Mr Shane Rhodes. The fund can be accessed online at gofundme.com. The UK Foreign and Commonwealth Office has confirmed that they are assisting the family and the death of the young man in Thailand. It is not the first nor will it be the last such incident as young UK men and women continue to be involved in motor accidents in Thailand and other emergencies. Figures released by the UK Foreign Office itself last year showed that from 2014 to 2016 alone there were 1,151 UK nationals who met their deaths in the kingdom. One key factor is motorbikes and dangerous road traffic conditions. The fatalities and injured include young men and women from the UK. In 2016, Thailand’s Tourism Ministry identified the issue as a cause of concern after a 54% rise in tourist deaths was recorded in 2015. As much as 40% of such deaths are thought to be due to road traffic accidents. 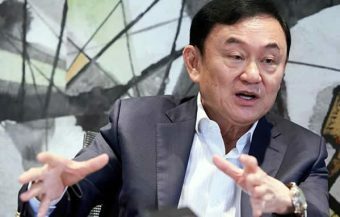 The scale of the problem facing Thailand when it comes to road safety was acknowledged by Thailand’s Prime Minister Prayut Chan ocha last April when he vowed to tackle it. A World Bank report last year highlighted the potential economic of GDP loss to the country from injuries to younger and more active Thai people due to road traffic deaths and injuries. 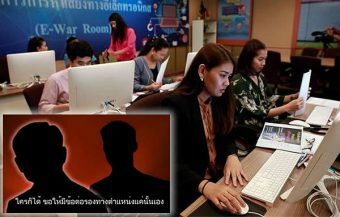 This loss also includes its effects on tourist safety and confidence which Thailand’s tourist bosses have also acknowledged. Thailand’s tourism chiefs are reported to be aware of the issue when a 2016 survey only rated Thailand 132nd out of 141st countries for tourist safety by the World Economic Forum. However, Thailand makes up for this deficit in confidence by the sheer value it offers foreign and international tourist through its unique, unparalleled experience and value for money. 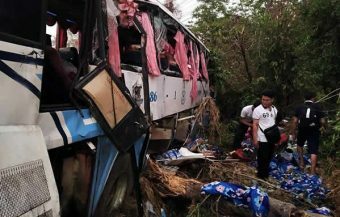 In 2016, Thailand’s Prime Minister specifically acknowledged also the importance of improving safety for tourists. 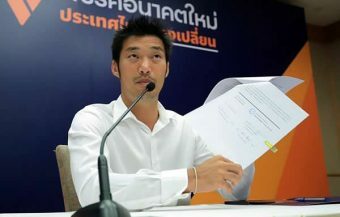 At the time, Pongpanu Svetarundra, the permanent secretary at Thailand’s Sports and Tourism Ministry echoed this and committed the country to improving its standards and safety ratings. It must also be acknowledged that overconfidence by foreigners in Thailand is a very real factor in all these accidents and tragedies. At the same time as dealing with Anthony Ryan’s family, UK Foreign Office personnel were also this week working to assist a British woman who is hospitalized in Thailand. 64 year old Barbara Jackson was stricken down with a heart condition while on holiday in Thailand. 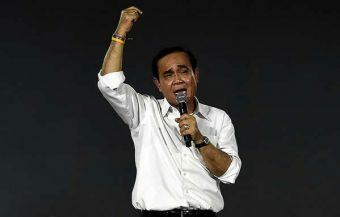 However, the unfortunate woman cannot meet the full medical costs at the hospital in Bangkok where she was admitted to. The UK woman from Essex is receiving treatment at Camillian Hospital in Thailand’s capital city for a serious and increasingly urgent heart condition. The elderly UK woman had come to Thailand for a holiday and also to visit her son who lives here. The UK woman was rushed to hospital after a medical emergency and doctors diagnosed a critical condition which requires surgery to her heart. The UK woman was only visiting Thailand for a short time and had failed to take our medical insurance. 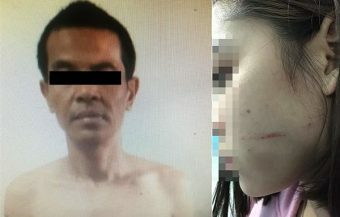 The cost of her operation is being paid but her family have been informed that a further ฿450,000 or $14,300 will be required for her care at the hospital. The family’s only recourse is to crowdfunding to raise money from the public. The campaign has got off to a good start with over ฿132,000 being raised from 32 donations with 4 weeks to go. If you wish to help Barbara receive her treatment and return safely to the United Kingdom, you can do it here. The crowd funding page explains the plight of the UK woman and says the she is now ready to undergo the essential surgery. 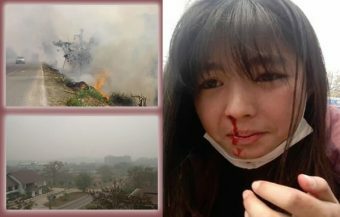 It explains that after the surgery and her recuperation, the elderly woman will have to discharge a bill at the hospital. It should be noted that the costs for such procedures and healthcare in Thailand is far lower than western countries and the United Kingdom except in Britain such costs are routinely covered by the National Health Service.